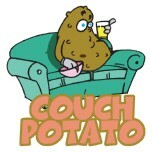 Butler, Party of 4: Get OFF the couch and get MORE sleep!! For adults, every hour you watch of t.v. takes 22 minutes off your life. Don't believe that? Check it out for yourself here. There's lots of research that says a sedentary lifestyle is as bad for your health as smoking and obesity. Time to get moving, friends!! There are ways to be active even if you don't like working out. Chase your kids, swim, go on family walks, take the stairs, dance, take a class, find a workout buddy, ride a bike, buy workout DVDs off Amazon or at yard sales and trade with your friends. Anything is better than nothing! 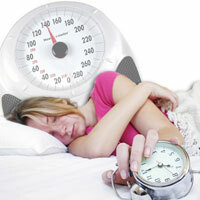 AND, did you know that lack of sleep can add inches to your waistline? We should shoot for at least 8 hours a night. Getting less than that (I only get about 6 1/2...bad, bad! I'm working on it though!) makes your body think it is hungry when it is actually just sleepy. You tend to eat more to keep your body going and keep yourself awake. You also do not make as wise of decisions when you're tired either. You're less likely to work out and more likely to make poor nutrition choices. Your brain is not able to function at full capacity either, so if not for your weight, do it for your mental clarity and attitude. SO, turn the t.v. off and get moving, then get in the bed early! Hey, it could add to your life! i wonder how many minutes get taken off my life by sitting in front of the computer?!?! haha...probably just as bad as tv? although my fingers are working out right??? ?